Yesterday, it was announced that the Bank of England is looking for nominees within the "visual artists" category to be the face of the new £20 banknote. The person could be an influential painter, designer, photographer, film-maker, or architect from England's history. Although the nominee must be deceased, he/she must have exhibited qualities that show that their individual work "shaped British thought, innovation, leadership, values and society and who continue to inspire people today," as expressed by the Bank Of England's governor Mark Carney to The Independent. Out of the nominees chosen by the publish thus far, it seems that Alexander McQueen is a top commender. The late designer and couturier is obviously a fantastic choice and someone who has been inspiring a variety of designers and sartorial-minded folks for decades, and whose work is globally celebrated. But a public outcry in 2013 over the lack of women on British banknotes (Jane Austen's upcoming £10 banknote will only mark the third woman on currency) has prompted critique. And the suggestion to feature more women on British currency will undoubtedly continue while nominations remain open for the next two months as we await the announcement of the winner come spring 2016. So it is not with disdain for Alexander McQueen that I make the following seven suggestions for women we should also be considering for the £20 note. Rather, it is with the pride of being a fellow woman that I'd like to highlight some inspirational characters who have made brilliant gains in the world of fashion and fashion photography, and who are equally worthy nominees. And side note: I was pleasantly surprised when searching Twitter to find that several of these women have already been nominated by British voters. Lucienne Day was a textile designer whose prints were known to be colorful and abstract. In the '60s, she was awarded the title of Royal Designer for Industry. Some of her tapestries still hang in the Victoria and Albert Museums, among other places, and a book was published in 2001 about the designs and life of she and her husband, titled Robin and Lucienne Day: Pioneers in Modern Design. Personally, I think Day belongs in the list of nominees because her career spanned over five decades, and the longevity of her designs is hard to match. Lucile, as she was known as a fashion designer, was most renowned for her lingerie, tea gowns, and evening wear. Besides her fashion accomplishments in the late 19th and early 20th centuries, Lucile was also a survivor of the tragic Titanic sinking in 1912. Second from the left, Jean Muir was a dressmaker for her own label called Jane & Jane in the beginning of her career. She continued under her own name after 1966, and became well known for bringing a mature and focussed look to women of all ages. Some of her current admirers include Kate Moss and Sienna Miller, who love their vintage Muir pieces. This fashion photographer really climbed to fame in the '90s, becoming the premiere champion behind some of Kate Moss' most iconic looks, and she continued working throughout the 2000s. Day is an excellent nominee because her fashion photography so beautifully evoked the grunge era and movement of the times. 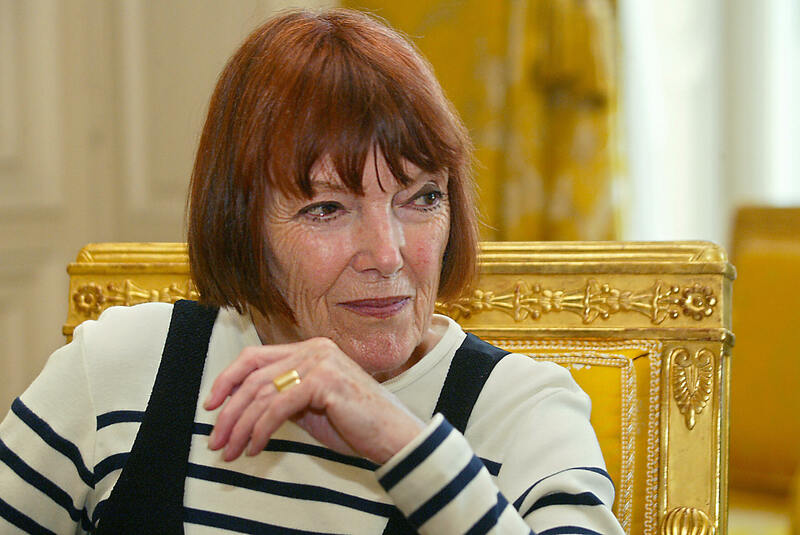 Though not truly able to be nominated as she is still living, I still put Mary Quant on this list because of her brilliant influence in the world of fashion. London in the '60s was a mecca for the fashion industry, and some of the most iconic people, styles, and music of the 20th century came from that decade. Mary Quant was a store owner early on in her career, and then began to dabble in design. She is most known as the creator of the mini skirt and hot pants. Jane Bown was a celebrity photographer who preferred black and white shooting, and whose clients included John Lennon, Orson Wells, Truman Capote, and even Queen Elizabeth II. She irrevocably deserves to be nominated for her triumphs as a woman in the then male-dominated celebrity photography field; not to mention that she produced some of the most well-known photos of her subjects. Cameron was known for photographing celebrities of her time, and for giving her photos an Arthurian or otherwise medieval theme. As a woman, her style was not widely appreciated during her lifetime, but it has become a major influence on photographers of today. She deserves this nomination exactly for that pioneering spirit.